Of all the new beauty trends for this fall, I think one of the trickiest to pull off is the super dark, almost-black to black lips. Until recently, I think the last time I wore a lip this dark was for my middle school Halloween costume, so I was a little unsure of how I'd feel about it. You really don't know how you're going to feel about this color until it's actually on, and I don't think I'm the only one who feels this way about the trend! So I thought I'd do a quick little tutorial for those who are apprehensive as well. I tried this new look out with a great color called Squid Ink by Bite Beauty, and the reason I chose that one is because out of the box, it looks like an opaque black. But in reality, it's actually a very deep navy. So you're getting the look with a little lighter depth to the color; it's not just a flat shade of black. And hey, if you end up not being into it, you can wipe it off and go back to your classic reds and nudes. But you may just end up liking it. Just don't try this for the first time before a big date night! 1. Line your lips with a clear lipliner. I'm using the Sephora Universal Liner. Another product that's been around for a long time with tons of great reviews is the Urban Decay 24/7 pencil in Ozone. 2. Apply. 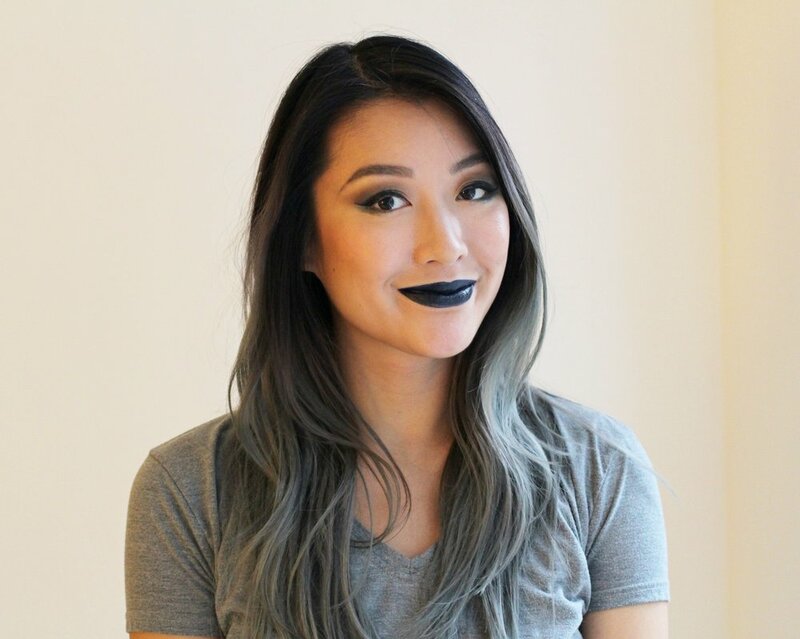 I used Bite Beauty Amuse Bouche Lipstick in Squid Ink. 3. Use a brush for cleaner application. Try Mac 316,or Sigma Precise Lip Brush for an even more budget-friendly version. 4. Everybody messes up! Clean up uneven lines and mistakes with a concealer. I'm not one to use tons of brushes, so I love my Maybelline Dream Lumi Touch Highlighting Concealer with built-in brush. Two steps in one. Also highlight the cupid's bow above the center of the lip. Voila! Nice clean lines, no bleeding edges.